Responsive Design to utilize the mobile friendly world! 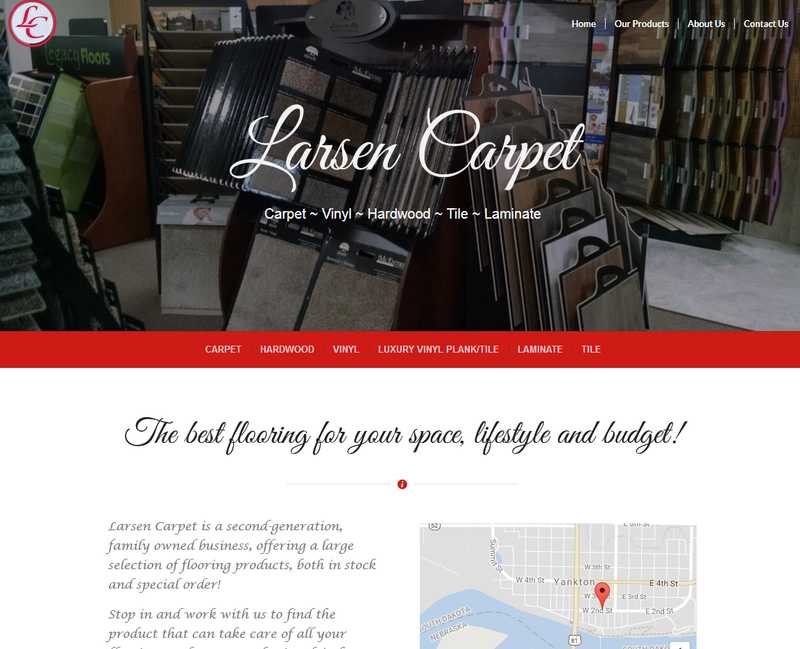 Larsen Carpet recently updated their website design to better show products, contact, location and upgrade SEO! Larsen Carpet was the first website done by Heartland Internet Solutions! At the time they didn’t have a web presence and were looking to expand into that area. Our prices were right and a website was up in 3 weeks! In 2017 the decision was made to redesign the site into a mobile-friendly one page website. Going from a basic html based website, to a responsively designed website brought this client’s business look on the internet up into the current times and made sure they weren’t falling behind in SEO results by following the latest standards! In 2015 Kim added a professional email account with us as well. Kim and company are great customers and supporters of ours and have been with us since day one. Thanks to them for giving us our start! Brand New Slider to showcase Showroom. Quick Links to Product Categories!